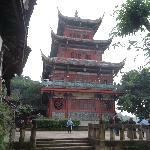 Have you been to Qingquan Temple? Larger Site Than I Expected. Get quick answers from Qingquan Temple staff and past visitors.